There’s probably at least one runner, cyclist, swimmer, cross-fitter, baller or all-around fitness enthusiast on your shopping list this season. If you want to help them make the most of their workouts — whether they want to establish a new personal record, conquer a new distance or hit a weight loss goal — consider a gift from the ever-growing market of fitness devices. We’ll start with fitness trackers, continue with watches and end with various accessories. 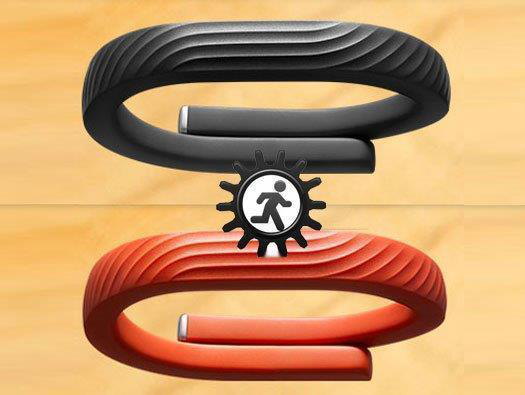 Let’s start with some fitness trackers. 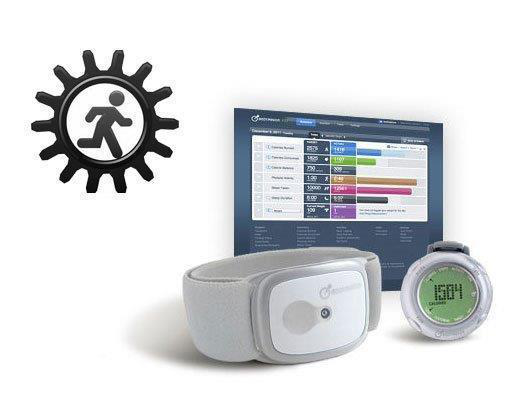 These examples of wearable tech monitor daily activity such as steps taken, calories burned, heart rate and sleep patterns. Fitbit makes several fitness trackers. In addition to how they’re worn, Fitbits differ largely based on their capability to set goals, track stair-climbing and measure “sleep efficiency.” All sync wirelessly with Windows or Mac OSX as well as Bluetooth 4.0 devices, all offer free online and mobile tools and all export data to other fitness apps, including RunKeeper and Lose It! 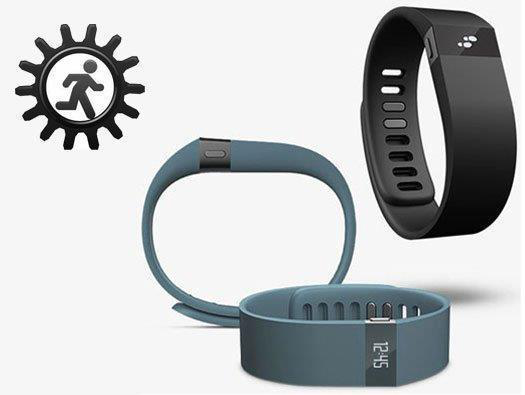 The Fitbit Force ($129.95) gets the vote here, since it displays the time, measures floors climbed and wakes you with a silent alarm, though the Fitbit One($99.95) will please the wristband-averse. The Jawbone UP ($129.99) wristband logs workouts and tracks sleep, but it goes a step further to help you log what you eat and how you’re feeling. It does this by syncing with the UP 3.0 app for Android and iOS. The app then uses UP’s “insight engine” to, as the company puts it, “discover hidden connections and patterns” in both daily and nightly activities. For the iPhone user on your list, you could splurge on the Jawbone UP 24 ($149.99), which uses Bluetooth Smart technology to sync wirelessly with the phone. The device that started it all back in 2006, with a wireless chip that linked select pairs of Nikes to an iPod, now comes in a colorful Bluetooth-enabled wristband. The Nike+ Fuelband SE ($149) is “uniquely designed to measure whole-body movement;” it tracks the intensity of activities and monitors your progress toward pre-determined goals, with information displayed on your iPhone or Android app. You can connect to other Nike+ Fuelband users, with your activity appearing in a daily leaderboard. You can compete collectively or individually for badges and other motivation. Like the previous devices, BodyMedia products track physical activity and sleep, sync with smartphones and link with third-party apps such as RunKeeper and MyFitnessPal. There are key differences, though: The devices are worn around the arm, not the wrist, they’re seen every week on The Biggest Loser and use of the online activity tracker application requires a monthly $6.95 fee. The Bluetooth-enabled Wireless LINK Armband ($119) does cost more than the CORE Armband ($89), but the former’s free mobile app includes a real-time dashboard and customized workouts in addition to the latter’s food log and workout chart. The Basis B1 ($199) is the most expensive of the fitness tracker on the list, but it also tracks the most information, logging skin temperature and perspiration in addition to heart rate and calories burned during physical activity. 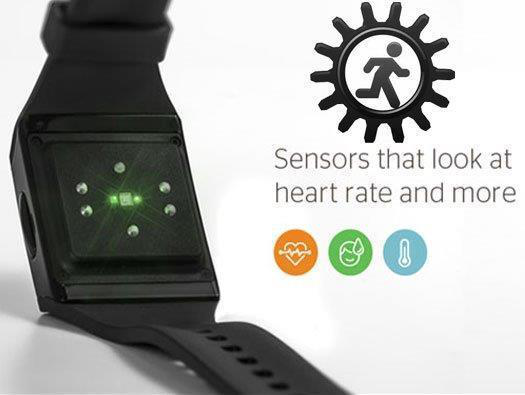 It’s also programmed to tell the difference between walking, running and cycling. The device syncs to select iPhones and Android phones, where a mobile app lets you check your progress. On a PC or Mac, meanwhile, you can get a long-term look at heart rate, sleep metrics and pattern detection such as resting heart rate and typical perspiration levels.